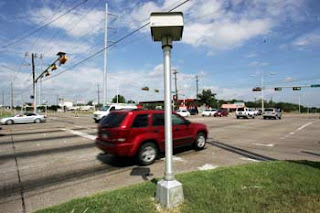 COAST staffer Scott Ross and volunteers traveled to Toledo in July to spur the petition drive for a Charter Amendment against Red Light Cameras in that City to the November ballot. Activists in tiny Heath Ohio quickly collected their required number of signatures to assure ballot access there. COASTers Kim Grant, Dan Regenold, Chris Finney and Scott Ross joined Americans for Prosperity staffers Jack Boyle and Jonathan Petrea in Toledo in July to spur efforts there over the top. At the same time, in a matter of days, activists in tiny Heath Ohio printed their petitions and gathered the required number of signatures to assure ballot access there. As of the publication of this newsletter, the Toledo effort has reached 6,250 signatures against a needed 4,750 valid signature requirement. Toledoans have until approximately August 13 to finish their signature-gathering efforts to attain ballot access for the November 4 election. Already, Heath volunteers have indicated a willingness to help with petition campaigns in nearby Columbus and its suburbs. What commitment, dedication and hard work! To all that were a part of this effort, I commend you. Your selfless gift of time and your determination are greatly admired and appreciated. Thank you! Are You Smarter Than a "Progresser"? Is the Streetcar a Superhero? Streetcar Tweets: Is This What We Can Expect?